Lizzy and her mother Patricia have an incredible array of family heirloom pieces collected through the years that they incorporated into Lizzy’s wedding. 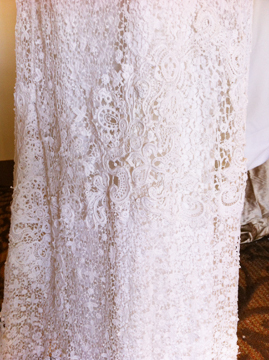 They came to us with a stunning cotton embroidered skirt, but needed to complete the outfit for her rehearsal dinner. 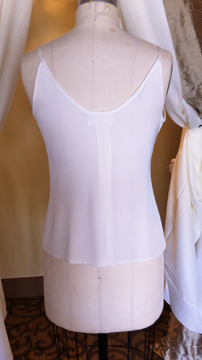 We lined the skirt with silk crepe and added a waistband of ivory grosgrain. 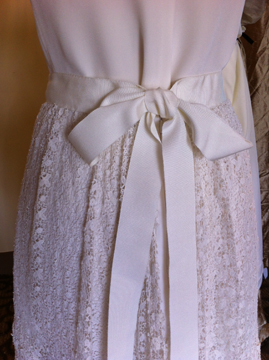 The grosgrain tied into a big, adorable bow with long tails! 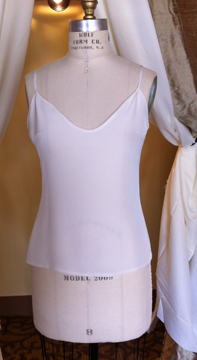 We used our beautiful 4 ply silk to create a bias cut cami to complete the look!